What kinds of buildings are listed? Listed buildings in Stoke-on-Trent vary enormously in size and character, from canal mileposts to large factory complexes. They include town halls, railway stations, housing, shops, war memorials, pubs and numerous other building types. The City Council keeps records of all listed buildings (click here for a list). What are the different grades of listed buildings? There are three grades of listed building. Most buildings (more than 90%) are listed grade II. Outstanding buildings are listed grade II* or grade I (for the very best). 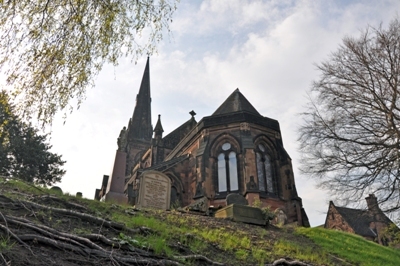 Stoke-on-Trent has a few grade II* listed buildings (such as Stoke Railway Station and the Wedgwood Institute) and only one grade I building which is the Sutherland Mausoleum in Trentham. What kind of protection does listing provide? Listed building consent is required for any works that affect a building’s character as a building of special architectural or historic interest. This can vary greatly from property to property. In one property, listed building consent may be required for painting a door, whilst in another consent may not be required. In general, the more substantial the works proposed, the more likely they are to require listed building consent. The only way to find out is to ask the local council for its opinion. Listed building protection applies to the interior of a building as well as the exterior. The same controls apply to all grades of listed building. What buildings are listed in Stoke-on-Trent? Stoke-on-Trent has relatively few listings for a City of its size, with just 196 listed building entries. However, some of these listings include several buildings, such as housing terraces or pottery factory complexes. Listed buildings in the City range from medieval structures to twentieth century buildings. They include former Georgian Houses, churches, bottle ovens and pottery factories. Listed Buildings in Stoke-on-Trent can be seen here. Where can I get further advice on listed buildings? You can also contact the City Council for more specific advice on listed buildings in Stoke-on-Trent.